Yup! It's storytime again! I'm not sure how many replies/stories I'll get for this, but I'm sure there's some people that have experienced some sort of oddity in their tcg-pulling days :p Anyways, today I got a couple.. interesting pulls in a row... (and I'm curious to know if anyone have had something similar that has happened). WHY MUST YOU BE THAT WAY, TCG PULLS?!?! 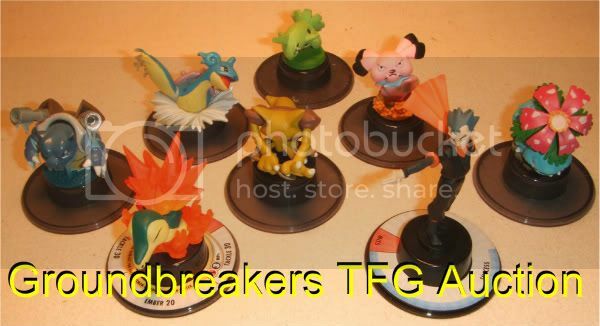 Hey everyone, just around 48 hours left on the groundbreakers auction... lots of them are still pretty low if even started ... so if you thought that super rare TFG was out of your reach before, now may be your chance to get it. Thank You all soooo much, for everything! so i got home to find a ton of "you missed this package" slips. 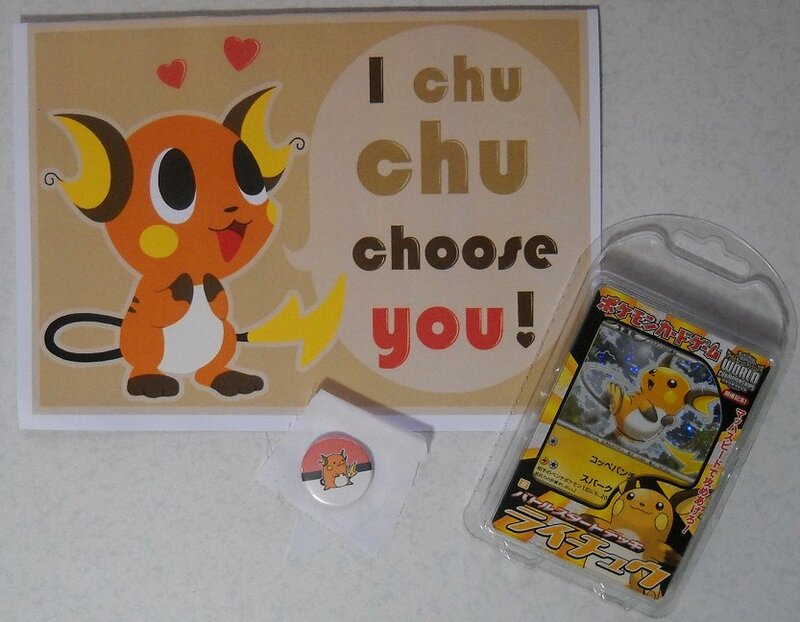 i HOPED i knew what one would be... AND IT WAS... my secret pkmncollectors valentine!!! from the uber-talented gappamaki!!!!!!! LOOK AT THIS ADORABLE STUFF!!!! can you believe it?? the card -- so cute. the cards -- i needed a mint in package version of that. the button... MY FAVOURITE. i don't even know if i can put it on my bag. it might go on my big shinx fatso's bandana instead, to keep it safe from any harm. AS TO THE REST OF YOU COMRADES... ESPECIALLY ALL YOU CHARMING ONES! we have charm totals ready to go and i and my teammates are prepared to go into battle tomorrow in about 9 hours! actually less, as we are lining up with a silly amount of earliness. i know you are wondering and this is the answer. GOLDEN TICKETS WILL BE RANDOMLY INSERTED INTO ENVELOPES OF FIRST 24-HOUR PAYERS!!! the rules are the same as last time... except the odds are a little more competitive, since i only have 5 tickets left. oh boy!!! also, as far as i know, 2 of the wave two tickets still have not been found, meaning they might have accidentally been overlooked, or did i miss the posts?! basically, if you pay in the first 24 hours, you are automatically entered whether you care or not, so if you really don't want to play, just pay in the 25th hour, or... you can put a note! but everyone is welcome to play and warmly invited to do so, so please play the golden ticket game with us! HAPPY CHARMS GAMES... and may the golden ticket odds be ever in your favor! PS: i did add type-focus plush, straps, and washcloths. the other stuff will come after charms are completed. too much chaos! 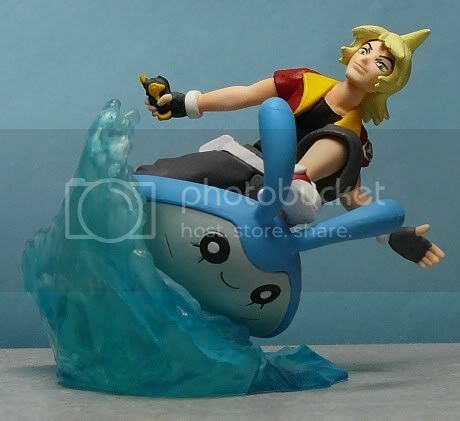 if you do order something now and say "combine with charms" i can do it for you :) be sure to include your LJ name. 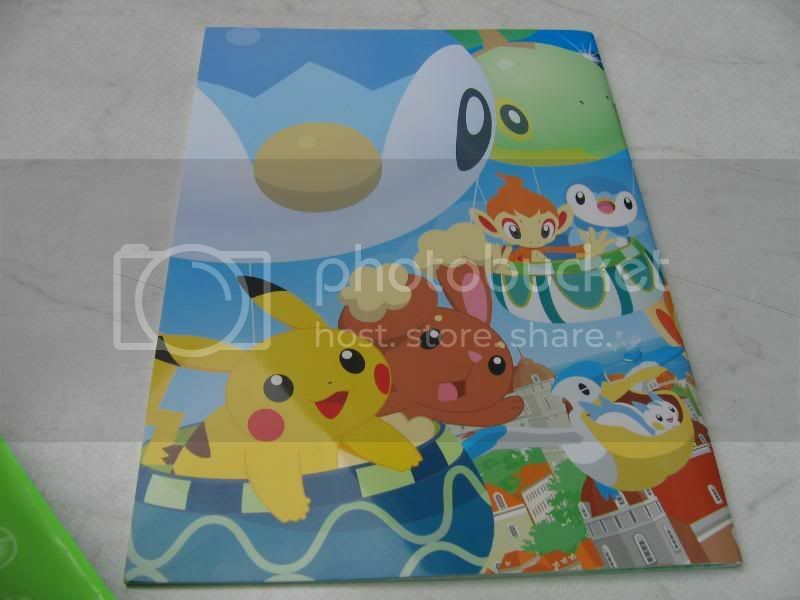 hey pkmncollectors members, just wondering if any of you guys out there have this pokemon balloon promo notebook that you would be willing to sell to me. This is the last aipom flat I need to complete my collection. Hi everyone! 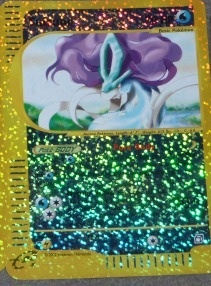 I will be auctioning off some oversized TCG cards. Come have a look! Play by play pikachu with no tail? 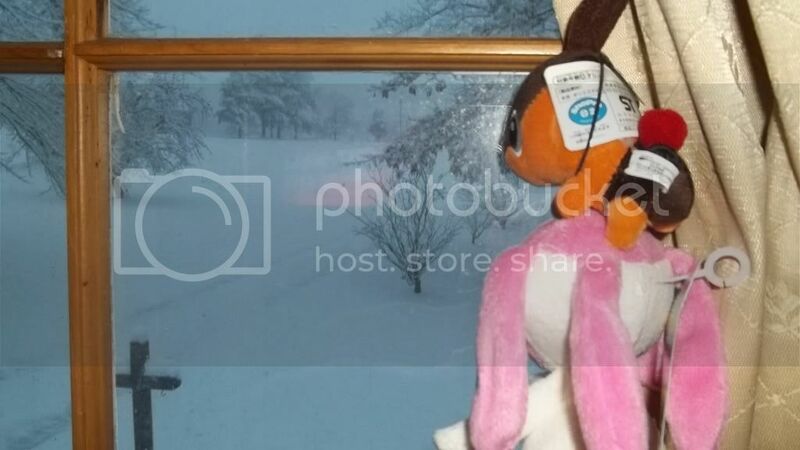 I got a play by play pikachu not too long ago and it had no tail and the previous owner said they won it that way so i was wondering if many play by play plushes are missing parts and how rare it is to happen? You guys probably don't remember me anymore fffff haha. Yup, kids. Especially the small 2'' plastic ones! I bid and won a lot of kids a while ago and I just got them in the mail today, along with a ton of other goodies. Plush, chupas, stickers and charms! Other than getting up at 630 for work with a sinus infection, it's been a pretty good day! Time to stop putting this update off. I have to update at some point, and Who needs to study for mid terms when you can post a collection update. 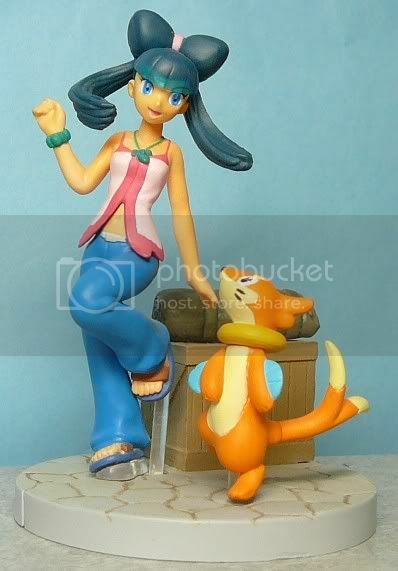 I found this Karp/Shinnoh starters on AAPF manufactured by Heartland, and was wondering if anyone had more info on it (distribution-wise)/had one for sale? I'm also looking for any and all Grass, Water, or Bug Zukan! Or any blue or green Pokes, really. Im in love with the Wailmer and Rayquaza. the Sceptile is also my favorite ofcourse! And this is how my collection grows! I got a box from my deputy this week, mostly of new Dialga things but with a few others! Nothing super grail-tastic in here, but a lot of little things I was excited to get. I thought it'd be fun to share it here and show how my Dialga collection has grown to its current size - a few new items at a time! Hey again! Back for more stuff, even without getting my other stuff in. I'm after a Wooper Pokedoll~ I don't mind what condition he's in; it's more than likely going to be used for cuddling and playing purposes anyway. Hello, all! It's been a while since I last posted here (work hours were getting longer and my bank balance was running a tad low) and I would like to get to know some more people this time around, so I'd like to reintroduce myself. I'm thinking of buying a Pokemon Time USB Computer Mouse, but I was wondering if anyone owns one or has used one, and can give me a review on it before i do. If i buy one, its definitely for use, and really want to know its performance before I sell my current one and spend at least $50 on it. Pretty much, like, is it ergonomically and how the middle wheel functions and whether or not the buttons stick. :P Haha, that sort of thing. It's kind of important for me. Fire pigs, lake sprites and god llamas - oh GETS! Yay, it's been a while since I've made a post - thanks much in part for working on a costume commission and busy with working - but I have gotten a lot of great gets from the past couple of weeks that I'd like to share with you all! Enjoy and thanks for reading and looking!